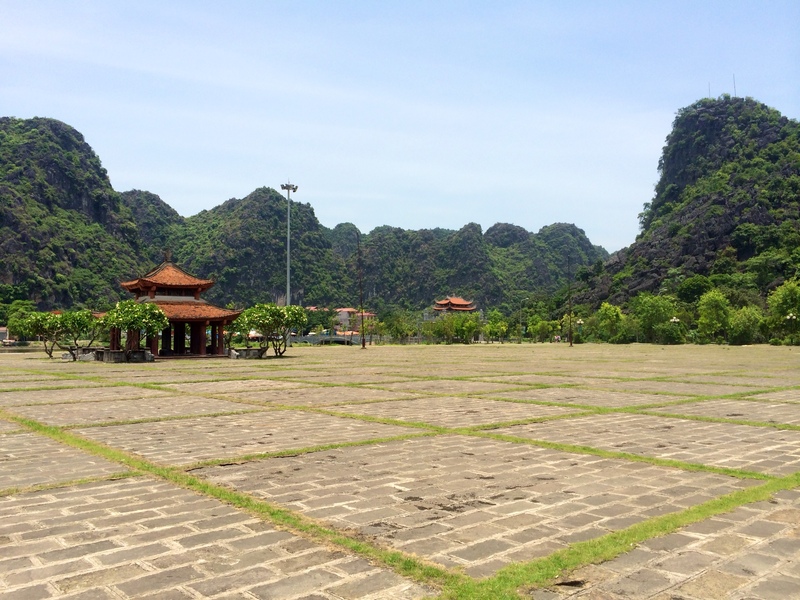 Based on my hotel’s recommendation, I took a package tour day trip to Hoa Lu, the ancient capital of Vietnam. 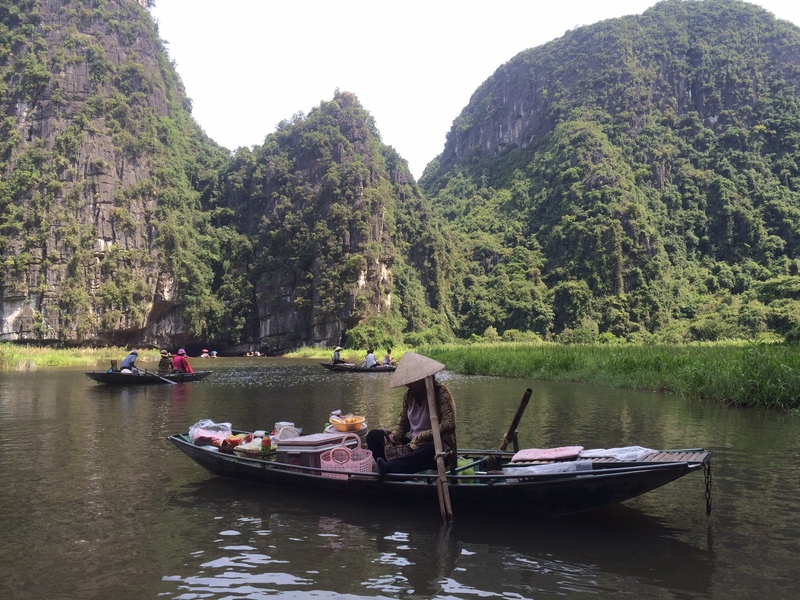 Hoa Lu is located 100 km (about 60 miles) south of Hanoi. Due to the horrible roads, the bus ride took about 3 hours. Unlike flat Hanoi, Hoa Lu is located in the middle of steep green hills that are about 150-200 meters tall. The old palace was located right in the middle of the hills. 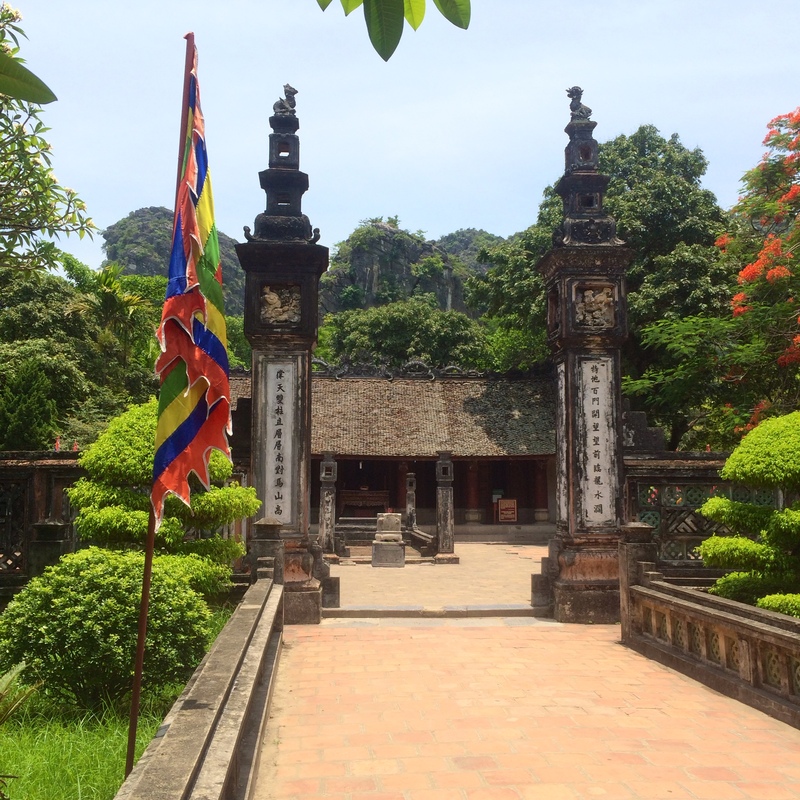 Hoa Lu was the capital of Vietnam from 960-1040 and was ruled by three kings. When the third king decided to move the capital to Hanoi, the villagers destroyed the royal palace and erected temples to the first 2 kings. The temples are beautifully preserved. After the temples, we took the bus another 30 minutes to the horribly named city of Bich Dong. It is actually a really beautiful place. 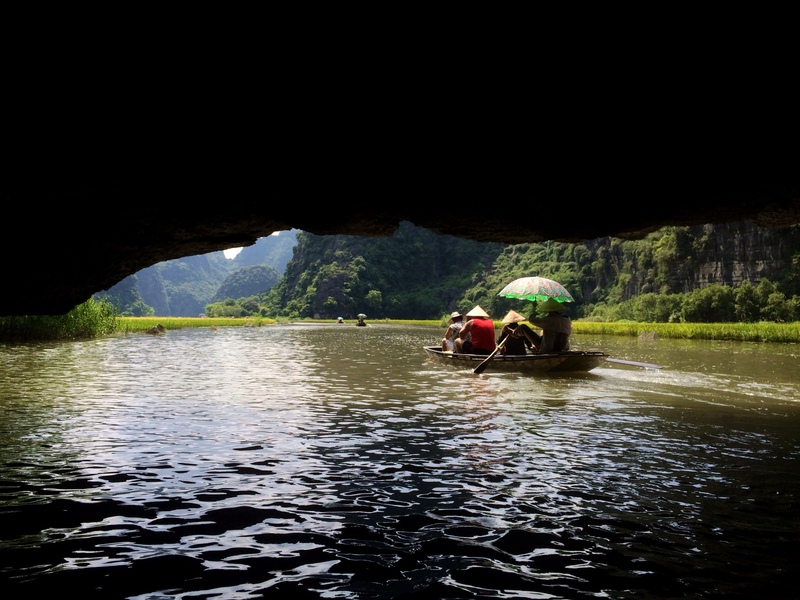 After lunch, we got in boats and cruised down the river through the middle of all the tall green karst limestone mountains. The scenery was stunning. The river even went through a few caves. Just as memorable as the scenery, the merchants in Bich Dong are relentless. 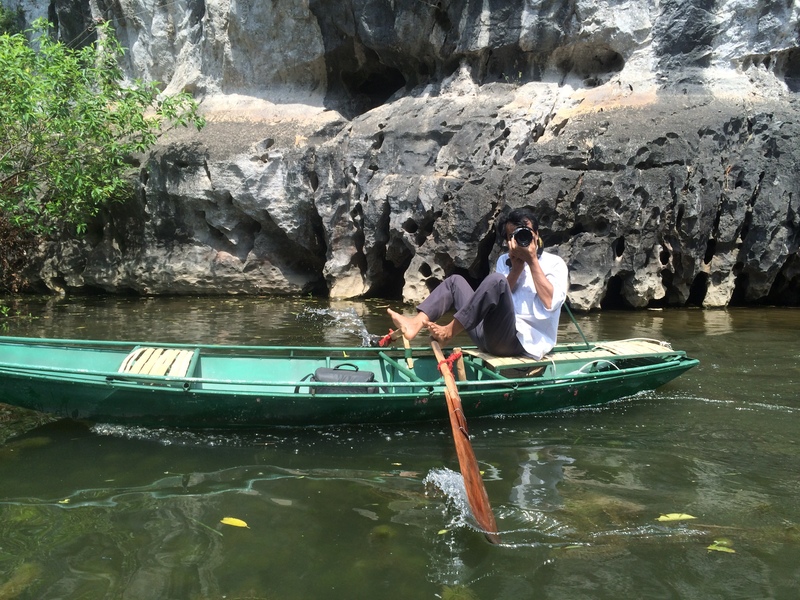 While we were boating, some local townspeople went boating up beside us with cameras and started taking pictures. After returning 2 hours later, the photos were developed and laminated. Camera boatman. Everyone rows using his feet. At the end of the river, before we turned to go back to town, merchants in boats started selling drinks and souviniers. There were actually just as many merchant boats as tourists. At one point, our boat driver opened up a metal compartment in the boat and tried to sell us more soft drinks. In total for the day, at least 100 different people tried to sell me stuff. The funny and sad thing about the place is that our group of 16 was the only tourist group there, so the whole town kind of banded together to try to sell us $2 trinkets. 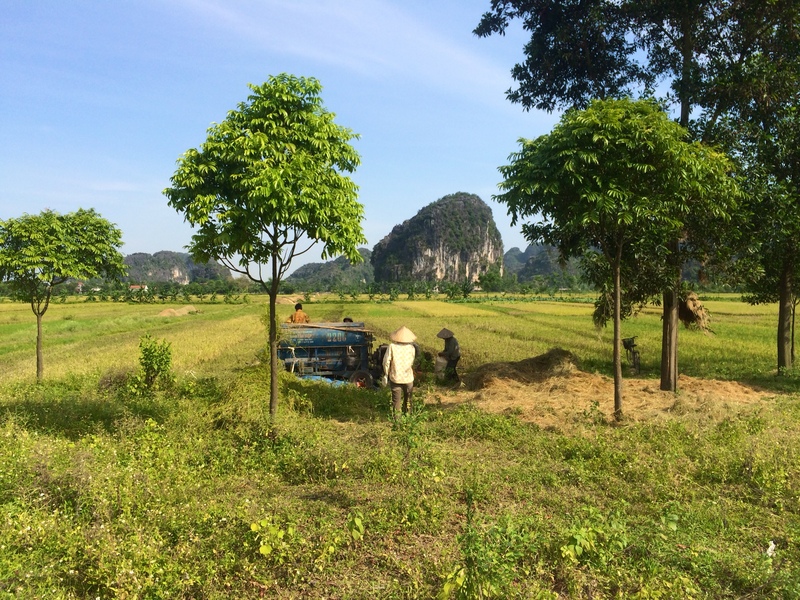 After the boat trip, we went on a bike ride through the town and the surrounding rice fields. The countryside was beautiful. 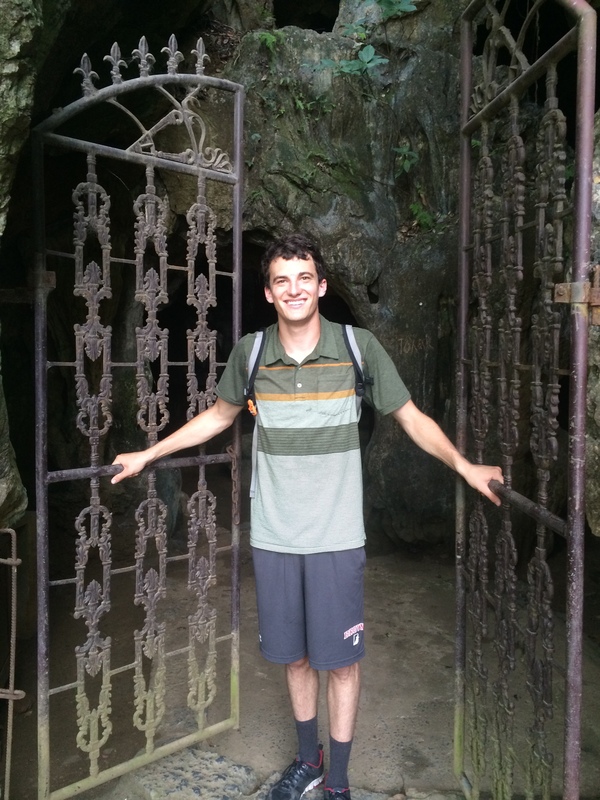 At the end of the 5km bike ride, there were 3 cave temples and, you guessed it, about 20 more merchants. I really enjoyed the trip through this unusual place, despite all the merchants. 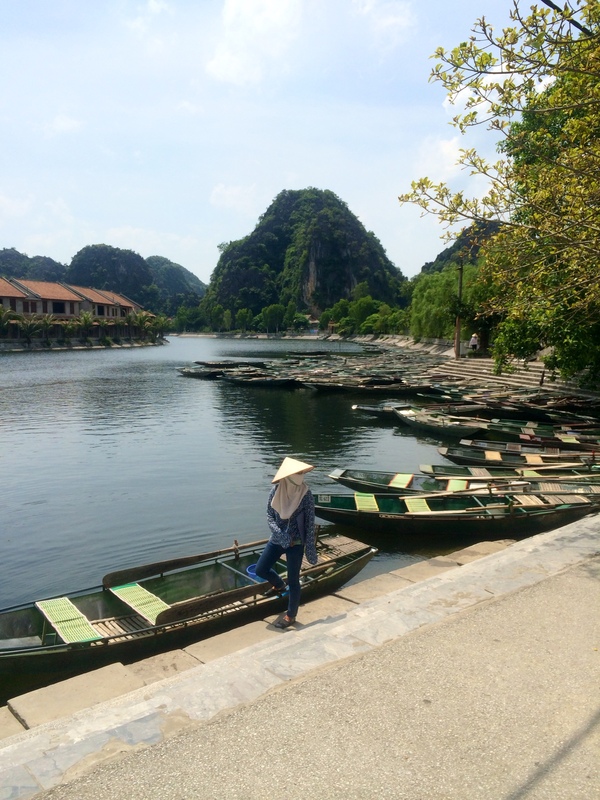 Not only was the scenery beautiful but I really enjoyed being in a small town compared to the two crazy cities of Saigon and Hanoi.